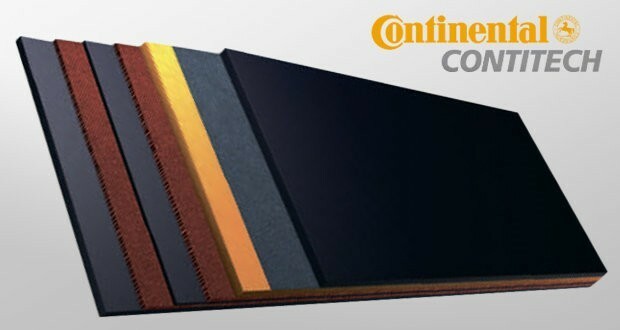 Continental has introduced a modular system with basalt fiber for a textile line of conveyor belting ContiFlex Vulkan. It is designed to convey materials with temperatures of up to 1,000 degrees (F). These belts are applicable to the cement industry, steel manufacturing, iron works, refineries, chemicals and fertilizer production. The developers applied basalt fiber for an exclusive heat control isolation layer to protect the belt from burning. According to Continental officials, ContiFlex Vulkan is one of their toughest textile conveyor belts for extreme heat. This line also can be customized to meet specific requirements, especially when it comes to conveying some of the hottest and harshest materials. Tensile strengths range from 220piw to 2,000piw and cover thickness can be selected to match given applications. Continental firstly introduced this new development at the 2016 NIBA convention.